Hard to beat the views in the Canadian Rockies. The Canadian Rockies is one of my favorite spots on earth. I’ve spent many winters in and around Canmore, Alberta, climbing all the frozen waterfalls I could get my hands on. But I have never skied there — after all, that would mean a day away from climbing. All that changed this winter thanks to Columbia Sportswear. While it’s not quite the land of free beer and sausages that Bob McKenzie promised in Strange Brew, you’ll find the mountains are big, the snow is deep (and dry), and the crowds are virtually non-existent. Don’t worry — there’s plenty of Molson Canadian and poutine to be found, too. A short flight from virtually anywhere in the lower 48 and boasting one of the longest ski seasons in North America, Banff-Lake Louise makes an ideal ski destination. Not to mention you’ll be paying for everything in Beaver Bucks not Benjamins. Our goal was to explore the three big resorts close to Banff — Sunshine Village, Norquay, and Lake Louise — and test Columbia’s new technology for the 2018-2019 winter season. The latter of which you will have to wait until October to find out more. 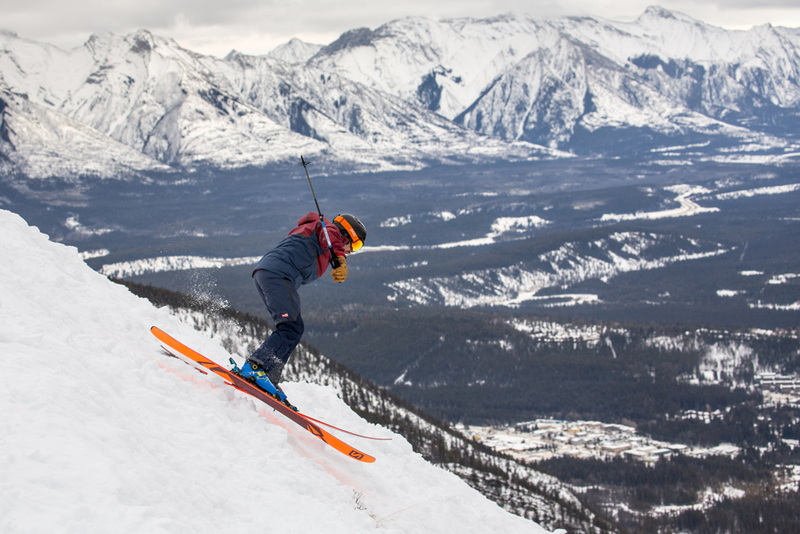 Sean McCoy shredding the steeps at Norquay. Opened in 1926, Norquay was the first ski resort in Western Canada. Located just 4 miles from downtown Banff, it’s considered the locals resort where families come to ski together. This is pretty much where all kids in the area learn to ski with plenty of green runs at the base of the mountain, beneath the black diamonds above and blue runs to the east. In total, you’ll find 60 runs spread over 190 acres with snowmaking ability covering 85% of the terrain. Norquay also offers the only night skiing in Banff-Lake Louise, including a fully lit terrain park — handy for those short winter days in the Great White North. Enjoying Prosecco with views of Mt. Rundle. For those of you that ski Tahoe, Norquay reminds me a lot of Northstar. 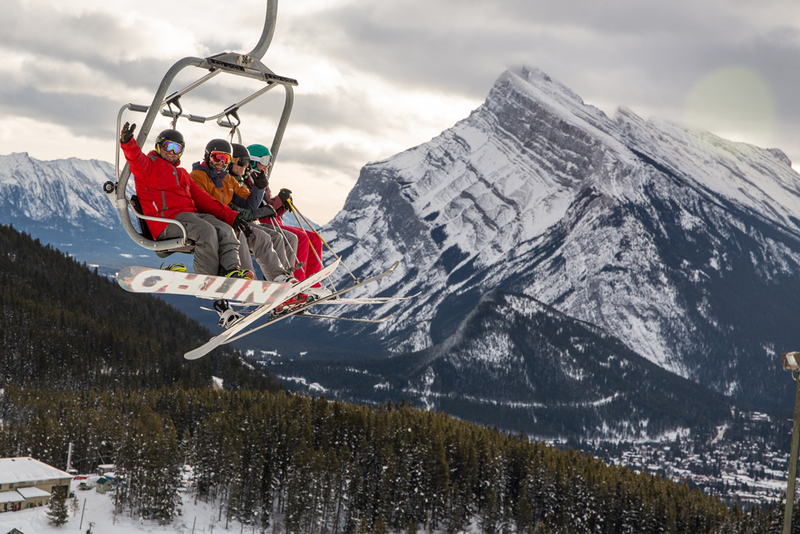 All the runs are groomed each night and at the end of the day, you can take the North American chairlift, the second oldest lift in North America, to the top of the mountain to enjoy the views of the famous Mount Rundle while sipping Prosecco and eating maple toffee. Hard to beat that. I'm having a blast skiing Sunshine Village. Sunshine boats Alberta’s biggest annual snowfall with an average of 914 cm — that’s 30 feet to you and me. 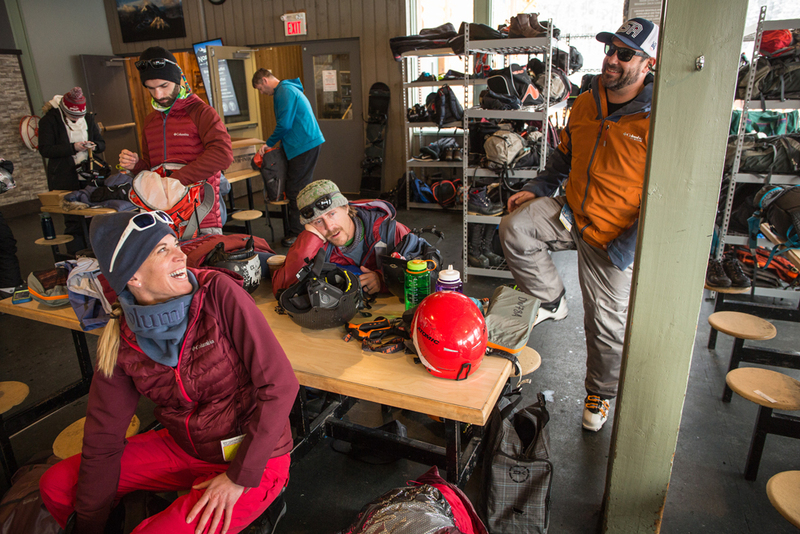 After spending the night on the mountain at Sunshine Mountain Lodge (and a late evening imbibing with the locals at the historic Mad Trappers Saloon) we got our pick of first tracks on the 120 runs covering three different mountains — Goat’s Eye, Lookout, and Mount Standish. A few of us spent the morning doing laps off the Great Divide Express on Lookout Mountain that whips you up to 9,000 feet. Even with low visibility that morning, the powder snow in the wide open bowls at the top was so much fun. That was some of my favorite skiing I’ve had in a while. 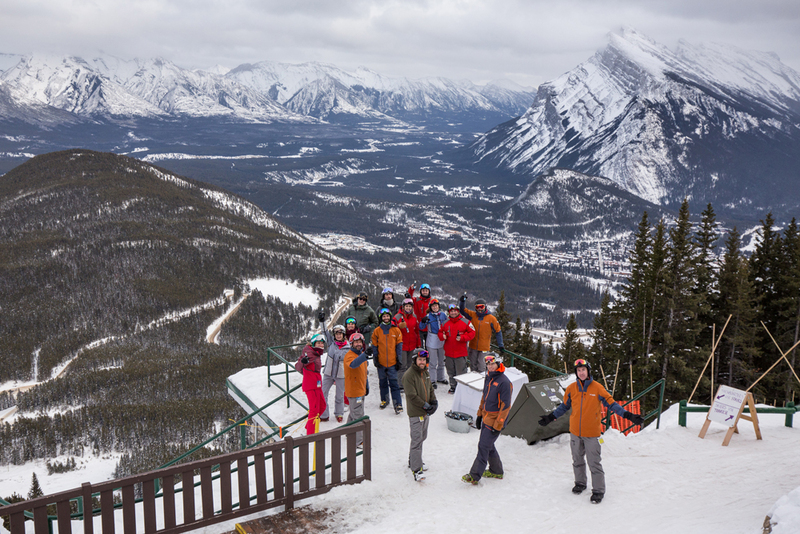 Lookout Mountain is also where you will find Canada’s first and only heated chairlift — the TeePee Town LX. Heated seats and a wind-blocking orange bubble enclosure feel pretty good on those below zero days. After lunch we hit up Goat’s Eye Mountain and enjoyed the long, steep and deep runs before skiing eight kilometers all the way out to the base. I spied the ice climb Borgeau Right on our ski out and now need to come back to climb that beautiful line sometime soon. Suiting up for the day at Lake Louise. Notice the racks! I knew I would love Lake Louise the minute I walked into the warm lodge and saw the rows of shelves where people freely store their stuff all day. A sign on the wall said “please don’t leave gear on tables as this space is for everyone to use.” Hot water and a microwave sat in the corner for all the brown baggers. Welcome to Canada. We were fortunate to spend two days at Lake Louise — one day exploring the resort and one day touring through the side country just outside of the resort boundary. The night before we headed to Lake Louise it started snowing, and kept on snowing throughout the day. The skiing was exceptionally fun, especially since our SkiBig3 guides made a point of taking us on runs that are not often skied. The mountain is big, cover 4200 acres of skiable terrain in 145 marked runs in addition to a huge selection of back bowls. What I especially appreciate about Lake Louise is that from each of the 10 different lifts, even at the very top of the mountain, you find runs of all levels, enabling groups of people of varying skills to explore together. 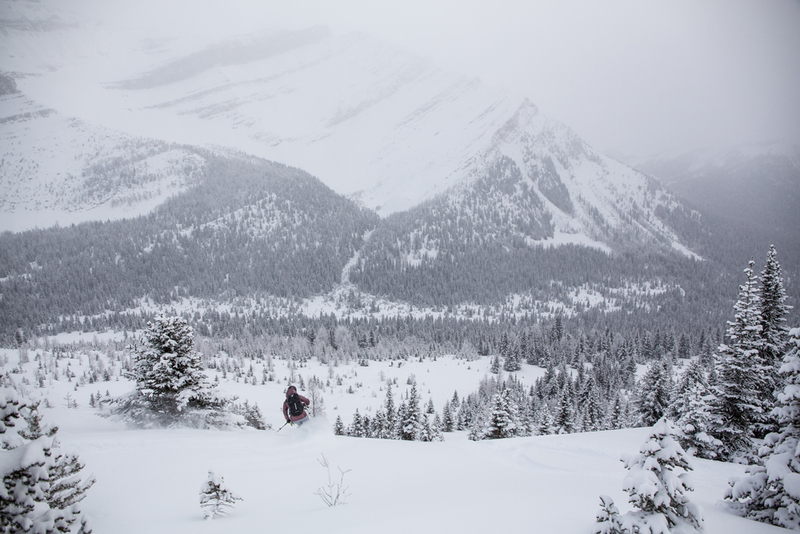 Finding the deep stuff in the Lake Louise sidecountry. Lake Louise isn’t all resort skiing. Yamnuska Mountain Adventures provides guided tours just outside the Lake Louise Ski Resort boundary. You take the gondola up to initially access the backcountry and once there, skin between powder filled bowls. Airport: Calgary, Alberta is the closest airport with direct flights from many US cities including San Francisco. Banff is around 90 minutes drive from Calgary airport, with Lake Louise another 40 minutes along the Trans-Canada Highway. Heading to our Brewster bus. Transport: Brewster runs free shuttles to all three resorts from both downtown Banff and Lake Louise. There are also shuttles from Calgary airport to hotels in both of these cities. Once there, everything is walkable in terms of restaurants and nightlife. So no need to worry about renting a car if you don’t want to drive in the snow. Given my past experience up there, it can be a bit brutal — and I’m from Minnesota. Where to stay: We stayed at the Moose Hotel and Suites in Banff which was not only super comfortable with a cozy fireplace in the lobby, but walkable to everything downtown. Be sure to hit the hot tubs on the roof. Enjoying some fancy drinks at Chateau Lake Louise. Eat & Drink: You must have a drink at the Banff Springs Hotel and explore its haunted and historical hallways. If you are up for an interactive dinner, head to Balkan on a Tuesday night (I won’t ruin the surprise). One of my favorite meals was at The Bison — local and seasonal Canadian cuisine. 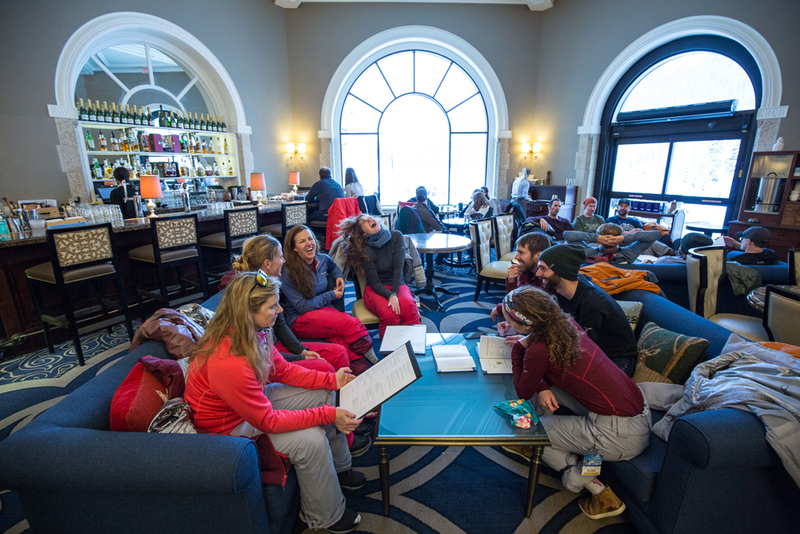 For happy hour after skiing at Lake Louise, be sure to head to the Chateau Lake Louise for drinks and snacks. The view is unrivalled anywhere in the world. I had a hard time staring out at the fat Louise Falls and not being able to climb her this trip. Ski Rental: For our sidecountry touring day, we rented skis and boots at Wilson Mountain Sports in Lake Louise. 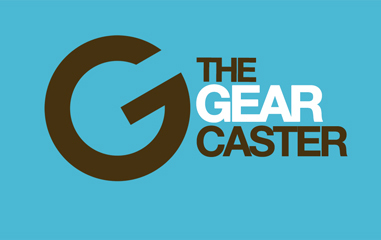 They have a super friendly, very Canadian staff who will hook you up with the latest and greatest gear. Guides: Each day we skied with a set of SkiBig3 guides. SkiBig3 does everything from book your lift tickets and help plan your vacation to offer guided adventures with certified instructors. 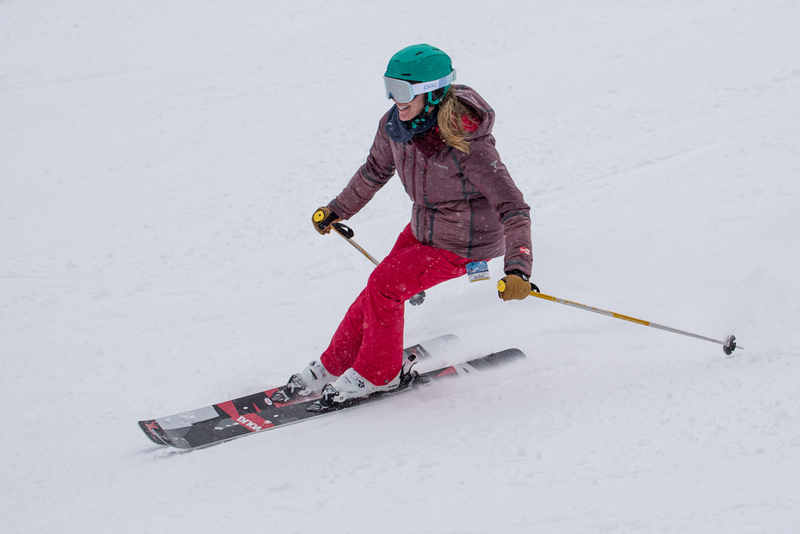 The guided adventures enable you to experience the best of the three resorts and get the lay of the land quickly, especially great if it’s your first time skiing in the region. And in case you remain skeptical about skiing in Banff-Lake Louise, check out this video. I hope to still be rocking it when I am 88.